Package printing often requires a great deal of solid color imagery, even in the most intricate of design patterns. That black backdrop behind a picture of a product? Solid image. That large, single-color logo affixed to the side of a cardboard box? Yup, essentially a solid image. Let’s troubleshoot these issues to uncover the true cause of your flexo printing defects and get back to producing repeatable quality prints. What Does Mottled Image Look Like? Your substrate comes off the press, and the solid color areas have a noticeable unevenness in print density with minor-to-moderate shade or hue variations. Mottled images can appear bumpy and have the visual consistency of an orange peel. Ink transfer is the usual suspect. Examine that first. Ink transfer is the basis of all successful flexographic printing. It's the amount of ink being moved through the components of the printing process and ultimately onto the substrate. Ink must wet out fully on the substrate for a quality print to occur. But even before that can happen, a correct amount of ink must first be transferred from the anilox to the image carrier. The amount of ink the anilox first transfers to the printing form is determined by the anilox’s cell volume and line count. In essence, less volume/fewer cells equal less space available in the anilox for ink to be picked up and transferred to the printing form or image carrier. Less ink means it’ll ultimately build up less of a uniform coverage on the substrate. Too much ink can cause streaking and running on the substrate. Choose an anilox with an optimal cell volume/cell count for the printing job at hand. If too little ink is transferring, consider a higher cell volume/lower cell count anilox. If too much ink is transferring, consider a lower cell volume/higher cell count anilox. As part of routine maintenance, check the cleanliness and physical condition of the anilox roller and clean or replace it, if necessary. Anilox cells often become dirty with dried ink or other contaminants, which reduces the volume the anilox is capable of carrying. If dirty, it needs a thorough cleaning. 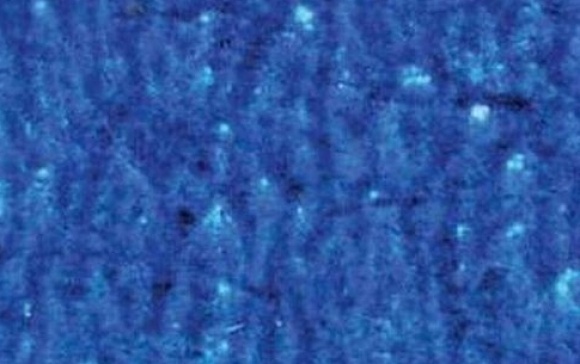 A substrate with a surface tension lower than your ink could cause a mottled appearance. Surface tension refers to the substrate’s ability to pull the ink from the image carrier. A proper surface tension chain (ink, image carrier, and substrate) facilitates adequate ink transfer. Managing ink viscosity can be a difficult balance. Think of viscosity in terms of how long it would take for a liquid to pour out of a cup. If it pours out like water, it has a low viscosity. If it comes out with the consistency of ketchup, it has a high viscosity. Your ink has to have the ideal viscosity for the job. You can modify the physical characteristics of your ink, following guidelines from your ink supplier. Pressure causes more flexo printing defects than any other variable in the press room. Most cases involve skewed images from too much pressure, excessive dot gain, or pushing ink beyond intended printed areas. In the case of mottled image, however, too little pressure between the print cylinder and substrate causes not enough ink to transfer fully. The result will be a solid color that appears lighter than intended, uneven, or incomplete. It’s nearly impossible to achieve full wet out on a damaged or dirty substrate surface. If your substrate is damaged or polluted, it will almost certainly affect ink transfer. As a solution, you must find the source of the damage or contamination and address it appropriately. Orange you glad we’ve discussed how to fix mottle image? All joking aside, this flexo printing defect can come out looking like an orange, but it’s anything but sweet. It can cost you time and wasted substrate if it’s not addressed promptly. While it likely stems from an issue with ink transfer, viscosity, pressure, or substrate irregularity, it may also be a product of chemicals used to treat the plate or substrate. Even ink drying speed could cause it. Let’s find solutions. If you experience mottled image or any of these 11 other common flexographic printing defects, don’t hesitate to get a second opinion for troubleshooting solutions. Call (888) 545-2270. The free guide below explains flexo printing defects in further detail.